6 Reasons i-loom is Completely Awesome | YAYOMG! 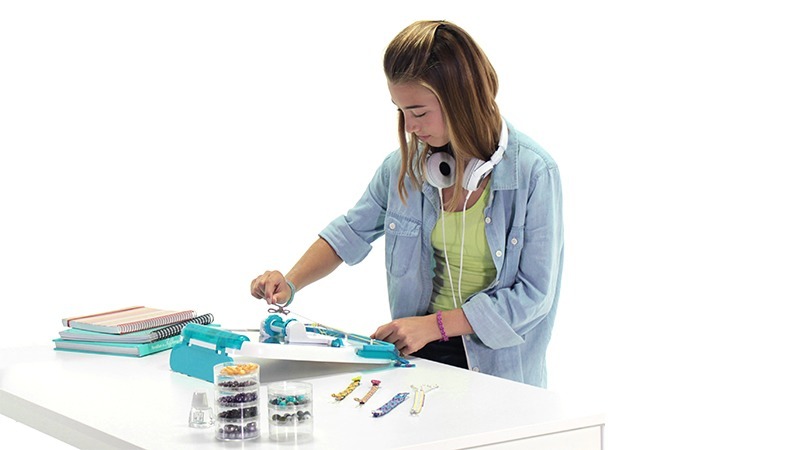 i-loom from Style Me Up is one of the coolest products we’ve ever seen! It takes all the struggle out of making awesome friendship bracelets for your besties, and helps you make designs that you’d never have been able to make before unless you were some kind of incredible superhero level crafter. By pairing up the device with your iPad (and yes, an Android version is on the way!) 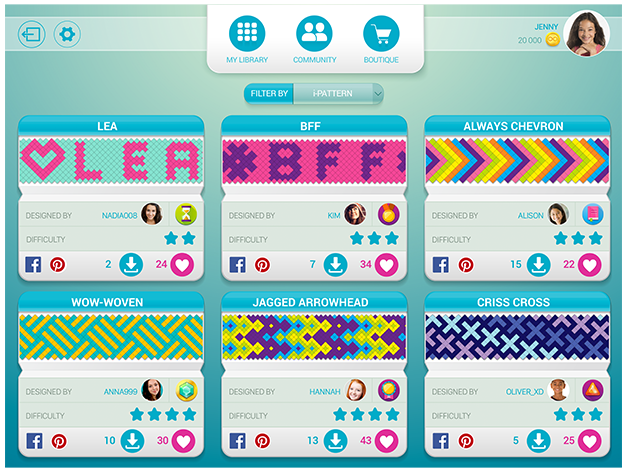 and downloading the i-loom app, you’re able to not only design pretty much any pattern for your bracelet, but it shows you how to do it! Check it out. Is that not the coolest thing you’ve ever seen?! We can’t help but gush over how awesome this thing is, so let’s get to it. 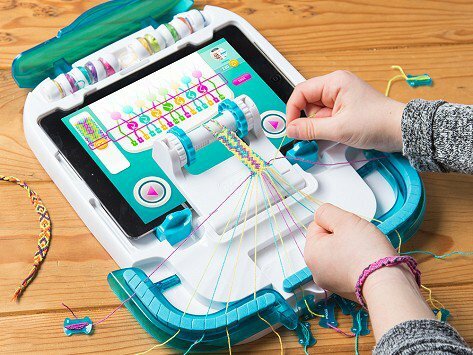 The i-loom device lets you work with up to 20 strands at a time, which if you’ve ever tried to make a friendship bracelet with more than 3-5 strands, you know is kind of a nightmare. Just pick your colors, set up your spools, and lock everything into place. Load up your iPad, choose or create the design you want to work on, and get to it. The Bracelet Winder holds everything in place for you while you work, and the app shows you step by step instructions on what to do, so it’s really hard to mess up. It works a lot like a color by number, each spool is numbered so it’s easy to keep track of which one you should be working with at all times, even if you’re using multiple strands of the same color. 2. You can share your designs with the i-loom community, and download other users designs. Each design you make can be saved to your collection and edited at any time. You can also share your designs with the community, which lets other users download and create your designs. 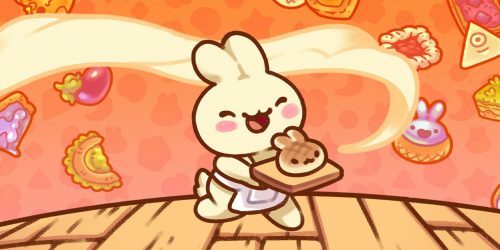 (And you can do the same with theirs!) Each design shows you the level of difficulty, the amount of rewards you’re able to earn by creating it, and an option to edit the designs and colors. So if you see a design you like, but prefer different colors, with a few taps on your device, you’re able to change everything! 3. You earn rewards for every bracelet you make. And not just for each bracelet, but for any progress you make on a bracelet. As you can see, on the left side of the screen, there’s a digital version of your bracelet that shows the progress you’ve made. The little coins, or loomies, that appear on the progress meter show you how much more of the bracelet you need to make in order to earn more. There’s even challenges you can participate in that earn you more loomies and special badges so you can show off what an expert bracelet maker you truly are! 4. If you can drag and drop, you can create a bracelet design. So you’re sitting here saying “this is great and all, but I don’t really know how to design a bracelet.” – and we get it. It’s hard. But the i-loom app takes the effort out of designing – there’s a ton of pre-made “stencils”, called i-Motifs, that you can mix and match and drag and drop to create your own designs. Drag a few together. If you like it, make it. If you don’t, keep mixing and matching until you’re happy. You don’t have to figure out what each and every strand needs to do if you don’t want to, and you can change colors at any time. 5. There’s a bunch of add-on packs! If you run out of thread or want more colors, there’s a ton of add-on packs containing additional thread colors and bracelet patterns. The packs all have really cute names, like “Ice Cream Party” for the pastel collection, “Tropical Twist” for the bright colors, and “Midnight Sky” for the bolder/darker shades. We’re sure there will be more to come in the future, too! 6. An Android version is coming soon! 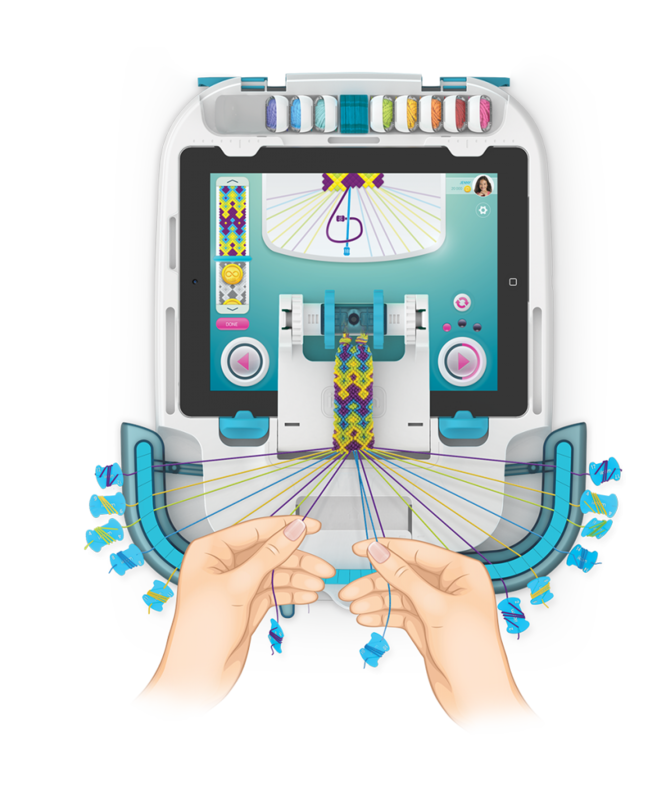 Right now i-loom is only available on iPad, but Style Me Up are working on an Android version of the app to be released sometime this Spring. 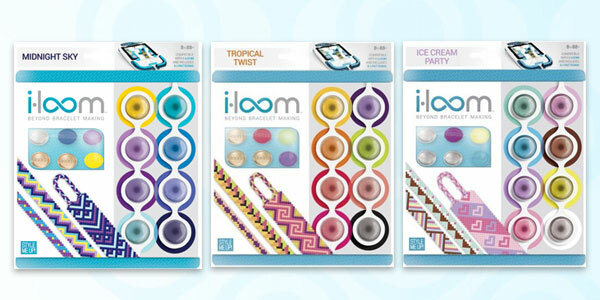 The i-loom Starter Kit is around $38, and comes with the device, 6 colors of thread, 5 patterns to unlock, 5 bracelet locks, and 18 spool tags. All you need is an iPad, and you’re good to go. 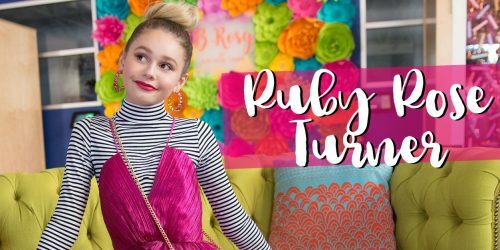 If you love creative DIY projects, click here for even more crafty fun!